Here’s a good question for you: have you ever tried to pick up your cat and cuddle them, only to feel like they weigh more than you can handle? If so, your cat may be obese, and this is not a good thing. Being overweight holds many of the same dangers for pets as for humans. The term “fat cat” is different in human terms as it applies wealthy, powerful people; in the veterinary world it brings to mind a kitty cat who has been eating too much and is not getting enough exercise. There is good news, however. There are several actions you can take to help him or her slim down before their weight causes some serious health problems for them. Diabetes – The development of diabetes is one of the most common problems. Obesity causes an increase in the production of insulin in response to the increased blood sugar levels in an overweight cat. When kitty’s body is no longer able to produce the amount of insulin needed, diabetes can develop with all its inherent risks. Arthritis and Lameness – Expect three to five times the risk of your cat developing osteoarthritis, movement problems, and even hip problems. A heavy body puts a strain on the joints. Liver Disease – When overweight, a cat stores too much fat in his liver, which can eventually cause a decrease in liver function. This can be a life-threatening problem. Increased Risk if Surgery is Required – Extra fat obscures organs and makes it difficult to find a problem quickly if your cat requires surgery. It also takes longer for kitty to come out of anesthetic, and a longer time to heal. Heart Problems – As in humans, being overweight can contribute to cardiovascular issues. Start With a Weigh-In – An adult male cat should weigh roughly 9 to 12 pounds and a female should weigh roughly 7 to 9 pounds. Take your cat to your veterinarian to be weighed and to rule out any problems interfering with their ability to exercise normally. A thorough vet evaluation and possible blood and urine testing may be needed to determine how healthy your cat’s insides are before starting any diet change or restriction. If there is an underlying cause of your cat’s being overweight, this needs to be dealt with and it will help your vet select the correct type of diet and exercise program. Reassess the Amount of Food You Offer – Above all, don’t offer too much food. Read the labels on cans and bags and don’t just dump food into their bowl. Use a measuring cup and give them only the suggested servings. Normally you should offer a meal twice a day. A cat doesn’t need to have food available all day. Chase-Toys – A laser pointer skipping along the floor can keep a cat interested in the chase for a few minutes, and so can a string tied around a wad of paper that you dangle and dance in front of your cat. A ping pong ball is a great toy because it is light and goes a long way when hit. Put your cat in an empty bathtub with a ping pong ball and watch the fun! Critter Toys – Cats like toys that squeak and behave like the creatures that a cat would hunt, like mice, birds, and rabbits, although cats won’t play by themselves for long. You’ll have to help. A walnut makes a live-creature noise and moves irregularly when rolled across the floor, which will encourage your cat to chase it. Leash Training – You can train your cat to walk with a leash but only to get them outside for a while and to stay safe while they get some fresh air and new things to sniff. They won’t run around that much, but they will probably like the change of scene and move around more. Another Cat – Getting a second cat can help with exercise, but if you’re introducing a new cat to an old one, also introduce some new toys, new treats, or new foods. You want the older cat to view the newcomer as a creature who brings more comforts into the home so that he or she will be more likely to welcome the new cat. If you reassess the amount of food your cat eats, increase your playtime with them so that he or she becomes more active, and ensure they are healthy via an exam at your vet clinic, your obese cat will lose weight. You will be rewarded with a cat who is happy, is in good health, and remains your companion for a long time. Q: What is a good diet for my cat? A: Nutrition is based on a number of health needs for an individual including species, age, lifestyle (indoor versus outdoor) etc. Cats have different needs in order to provide them balanced nutrition compared to canines. For example, taurine is an essential amino acid required for companion cats. Cats should also be fed a primarily canned or soft food diet in order to supplement adequate water intake. Human food and excessive treats should be avoided. Some dry food feeding is suggested as well but older cats used to dry food may find it difficult to adjust to a primarily canned diet. Welcome to part two of our “Caring for Kittens” series! This is an exciting period for you and kitty as your adventurous, playful little pet will be forming their very first impressions of people and the world. During these weeks, you will need to monitor his or her learning experiences and ensure they are both healthy and safe. By week eight, most kittens know how to use a litter box. If your kitten does not, you can housetrain them in a few days by providing them with a litter box. Scoop kitty up and place them in it each time he or she starts to urinate or defecate. Never punish them while they are learning this important skill. Be patient. During these weeks they will sleep about 20 hours a day. When awake, kitty will be on the go, running, climbing, jumping, stalking, pouncing, and more than eager to play. Now is the perfect time to offer them paper bags, plastic, flexible straws, and anything they can chase as toys. Kittens have very small tummies and will thrive on 4 small meals a day. They need access to a water bowl at all times. They love to use their claws and will be happy to scratch and shred anything on which they can get their little paws—even you! You can deter this behavior by providing a scratching post. They will grow bigger and heavier every week. Whenever you run your hands over your kitten, there should be no lumps, bumps, or any indication of sensitivity to touch. If there are, you need to contact your veterinarian. Cover any exposed wires in your home, and keep cleaning products, insecticide baits, and sharp objects out of kitty’s reach. Make sure kitty doesn’t have access to the attic or basement if these areas aren’t well ventilated or if they expose tiny, inviting places where kitty can wiggle in and can’t get out. Introduce him or her slowly to other household pets and supervise them until you are sure they all get along. Again, you need to be patient with this; all animals need lots of time to get used to each other’s scent. Check for doors in your house that don’t close properly or give kitty access to rooms you want kept out of bounds. Also check for broken screens on windows and outer doors that could allow kitty to escape from the house. 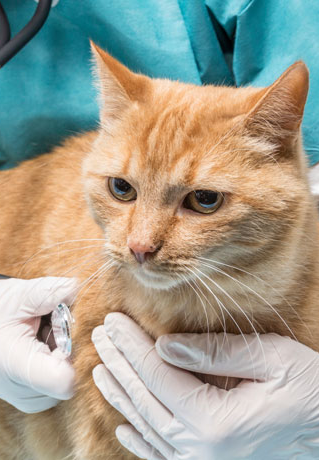 Have your veterinarian insert an ID chip under kitty’s skin to make sure they can be identified if he or she is lost or comes to harm and is taken to a shelter or clinic. Invest in a travel carrier. You will need it when taking kitty to the veterinarian and for visits elsewhere, and you should keep it near kitty for a while so that they will grow more used to it. Kittens should have a nose-to-tail checkup from a veterinarian and a vaccination program started or planned. When kittens stop receiving mother’s milk, they no longer have immunity from diseases for which their mothers were immunized or developed antibodies against. Kittens usually receive their first vaccination between 6-8 weeks, boosters at 12 weeks and 16 weeks of age, or 4 weeks after their first visit. Let your veterinarian be your guide to the vaccinations needed. Typically during their first visit your kitten will receive vaccination against feline distemper. Your veterinarian will discuss with you if there is any possible need for vaccinations against FELV (aka feline leukemia) and rabies based on your kitten’s lifestyle. Make sure your kitten eats an appropriate diet—your veterinarian will be happy to make recommendations. If your cat receives canned food, don’t let it stay out for longer than 20 minutes. Canned food should be offered early as it does have some health benefits for kittens; you should also gradually introduce your kitty to dry food at this age. Avoid letting him or her eat food intended for humans or dogs. Keep their water bowl full; it needs to be changed frequently in order to give them access to fresh water. If the water has a peculiar odor or taste and kitty turns away from it, you can give them bottled water. Get them to socialize: Take time to pet and play with your kitten daily and introduce him or her now and then to other people so that he or she will learn to like and trust humans in general. Teach them to accept the carrier: Put treats inside the carrier and, when he or she is used to wandering in and out, shut the door and move them to another room, then let them out right away and give them a treat. Take short trips in the car followed by a treat so that he or she will not be afraid of the carrier. Train them to use their scratching post: If he or she starts to scratch your furniture or carpets, discourage them and then move them to the scratching post. Teach kitty to come when you call: Use their name often and, when he or she starts to look up or at you when they hear their name, reward them with a treat. Congratulations, you now have a healthy and happy kitten in your life! Did you miss out on part 1? Read Caring for Kittens, The Series. Stage 1: Age 0-8 Weeks. If you can’t give your pets Easter chocolate or candy, then what can you give them? If this is something you’re wondering, don’t worry – there is a way you can help get your favourite dog and cat (or both!) to join in the family celebrations during Easter without compromising their health and while practicing good cat care and dog care. If you have children, you will probably prepare baskets filled with goodies from the Easter bunny. So, there is no reason you can’t prepare baskets for your pooch and your kitty at the same time! Yes, there are treats available for your pets when they start eyeballing those brightly coloured eggs and candies. What kitty doesn’t want a basket of treats on Easter morning? You know your little pet will be delighted. Watch him or her as they explore the items you have prepared for them, and plan to play some games with them, too. Use your imagination and have fun choosing the perfect treats and toys at the pet store where all the Easter-appropriate items will be on display at this time of year. Will your pooch want a basket of treats on Easter morning? Of course they will! Have fun in the pet store or gourmet pet treat store picking out treats and a couple of toys, too. Duck or egg or bone-shaped cookies with small amounts of raw, unsalted peanut butter – which almost all dogs love to eat! It is recommended that you stick to commercial dog and cat food treats (other than carrots for dogs) because there are so many regular human food items that are dangerous to pets. To ensure their safety, you would need an extensive list of foods to avoid if you decided to give homemade or human treats to animals. For example, raisins, alcohol, and chocolate are toxic to dogs. Candy, gum, and sweets for people who are on diets may contain xylitol, which is another product deadly for pets. Many fresh fruits and vegetables are harmful, too. Remember when choosing toys, avoid anything that is, or could become, a choking hazard such as a toy small enough to be swallowed or with moving parts that could break off into small pieces or expose sharp edges. Collect and discard wrappings used for children’s candy before your pet has a chance to pounce and chew on or swallow them and, of course, keep all human treats out of their reach. Some flowers and plants should be kept away from animals, too. If you have a cat, avoid all lilies—Easter, Tiger, Day, etc.—because they are toxic to felines, and chewing on a flower or leaf, or drinking some of the water in the bowl or planter is dangerous. Substitute orchids, gerberas or violets (and remember this point when giving flowers to friends who have cats!). By all means, plan to include the family pets in your Easter fun! But don’t forget, providing good cat care and dog care also means to make sure the Easter bunny wisely chooses only the safest treats and toys for them.